Levi's Stadium is now open for business and will bring tons of world-class events to the region like the Super Bowl, WrestleMania, and international Soccer Matches in addition to the regular 49ers games. 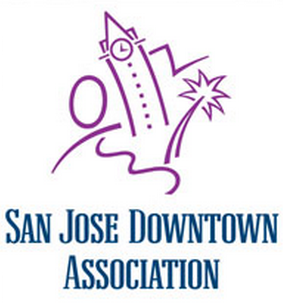 Downtown San Jose will be a huge benefactor offering hotels, restaurants, bars, and entertainment to Levi's Stadium visitors before and after games. Downtown San Jose has 7 Light Rail Station, one Heavy Rail Station, and several shuttle buses that can take people directly to the stadium. The Public Space Activation Project will distribute five micro-grants to local events producers. The Street Life Project will focus on initiating the Downtown Street Life Plan which includes modular stages, street furniture, shade structures, pocket gardens, lighting, and Downtown wayfinding. This month TPG Hospitality plans to break ground on a 210-room AC Hotels by Marriott on Santa Clara and Highway 87. Park View Towers is moving forward with an 18-story building with 155 units and a 12-floor building with 64 units fronting St. James Park. There would be 15,000 SQFT of restaurant and retail space on the ground floor and the Church of Christ Scientist building would be used for offices. The Post and San Pedro Tower is also moving forward with a 21-story, 182-unit mixed-use project with 8,000 SQFT of ground-floor retail. SJSU is starting construction on a 10-story, 850-bed student housing project on the corner of Ninth and Paseo de San Carlos. Chacho's is doubling their seating inside by expanding into the former Love's Cupcakes spot. VCs have invested $30 million each into two Downtown tech companies: Intacct (which is doubling their presence Downtown) and Malewarebytes. The SoFA Market is expected to open this month (!) with three tenants: the Falafel Bar, Veros Coffee, and The Fountainhead (architecture-themed bar). Pete Escovedo and his Latin Jazz Orchestra are headlining Music in Park on Aug 21st. The next HER City event will be Aug 27 at the Tech Shop. I wonder who will fill these retail spots with new apartments being built. I feel like there is already plenty of empty storefronts and these new buildings will just add to the emptiness and add no activity to the areas around them. San Jose is already suffering from a severe drought and a complete lack of services. The city is covered in trash and smells like urine everywhere you go. Why can't some of this new money go toward cleaning up the city and creating solutions to our homelessness problem?